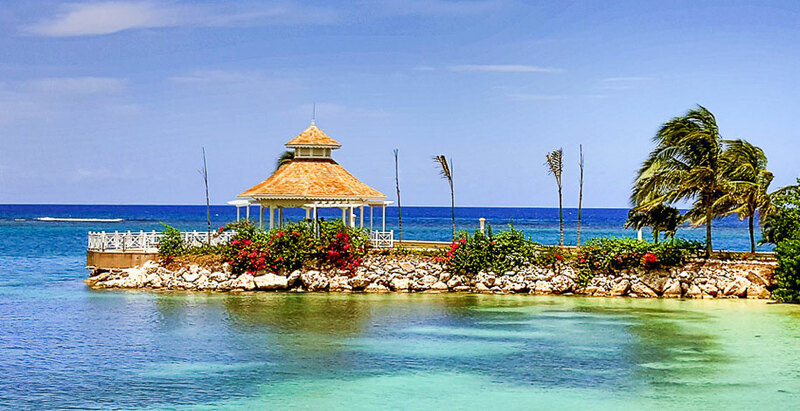 Moon Palace Jamaica is a private beachfront resort at the tip of the famous Ocho Rios Bay, considered to be the most romantic area in all of Jamaica. A Moon Palace Jamaica wedding provides breathtaking views of the Caribbean Sea and is surrounded by lush gardens. It is the perfect backdrop for your wedding ceremony. Adults can dance the night away at the adults-only Noir lounge, or explore the beautiful landscapes extending just outside of the resort. Enjoy your wedding with all your family and friends without a worry in the world! Renovations: The property reopened in 2015 after undergoing a full renovation to transform into the high-end luxury resort it is now. The resort is filled with marble interiors and extravagant decor and welcomes all adult guests with a glass of wine upon arrival. 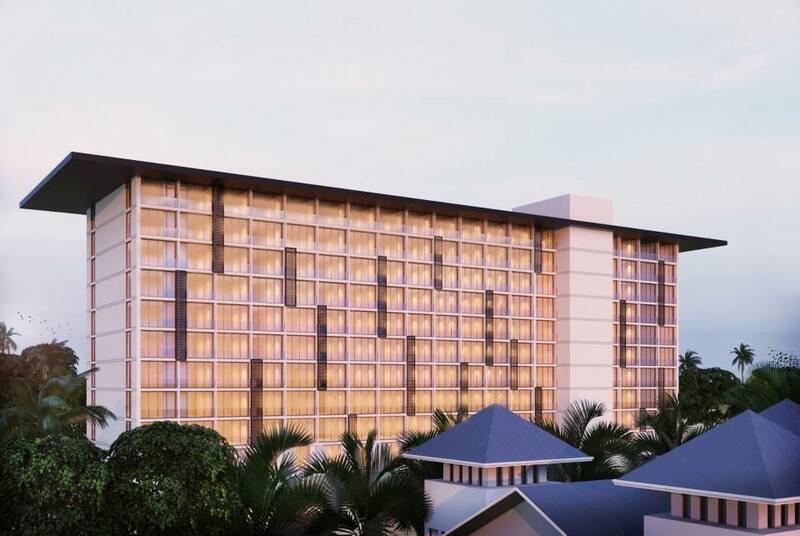 All of the guest rooms now have inspired themes and have been updated with top-notch technology, balconies with water views, and include liquor dispensers as well. For adventurous guests who want a thrilling destination wedding experience, the resort offers everything from a wave simulator and swimming with dolphins, to snorkeling and waterfall tours, along with river tubing as well. The property is very large and can be a long walk between the guest rooms, restaurants, and the beach. We recommended bringing comfortable walking shoes. This resort offers a unique wedding gazebo at the end of a small peninsula, which provides unparralled views. Book 10-19 rooms OR 30-59 room/nights: receive 1-hour private cocktail reception. Book 20-24 rooms OR 60-74 room/nights: receive 2-hour private function. Book 25-35 rooms OR 75-107 room/nights: receive 9 hours of private events. Book 36-50 rooms OR 108-152 room/nights: receive 10 hours of private events. Book 51-99 rooms OR 153-299 room/nights: receive 15 hours of private events. This wedding package is complimentary when you book a minimum of 3 total nights at the resort. Upgraded packages, additional guests, and add-ons are available for an additional cost. Rooms range from $250 – $330 per person per night. Every room includes wifi, a liquor dispenser with premium liquors, and a mini-bar. Guests looking for ultimate luxury will enjoy the adults-only Concierge Level room that includes two 25-minute massages, a private beach lounge area with waiter service, and a private candlelit dinner at select locations. Children 3 and younger stay free. There are 730 total guest rooms with partial or full views of the ocean. Handicap accessible rooms are available upon request. All rooms allow up to 2 adults and 2 children max. All rooms will allow a maximum of 1 infant (ages 0-3) to stay in the same room with 4 guests. The Family Suite is only available to families traveling with children and will allow up to 6 guests max with 4 adults maximum. Children are ages 4 – 17. The resort will host no more than 2 weddings per day Monday thru Sunday. Weddings can be held any time between 11am – 6pm, and no weddings will be held at the same time. 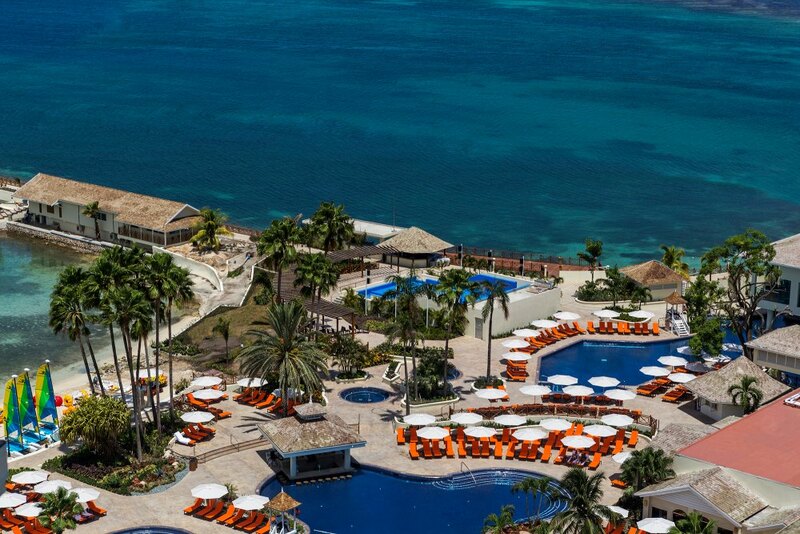 Moon Palace Jamaica is located 60 miles from the MBJ airport. The resort is about 5 minutes outside of downtown Ocho Rios. Q: What makes this such a great place for a destination wedding? A: Moon Palace Jamaica is a stunning gem of a resort, with incredible sunset views, and impeccable service known with Palace Resorts. 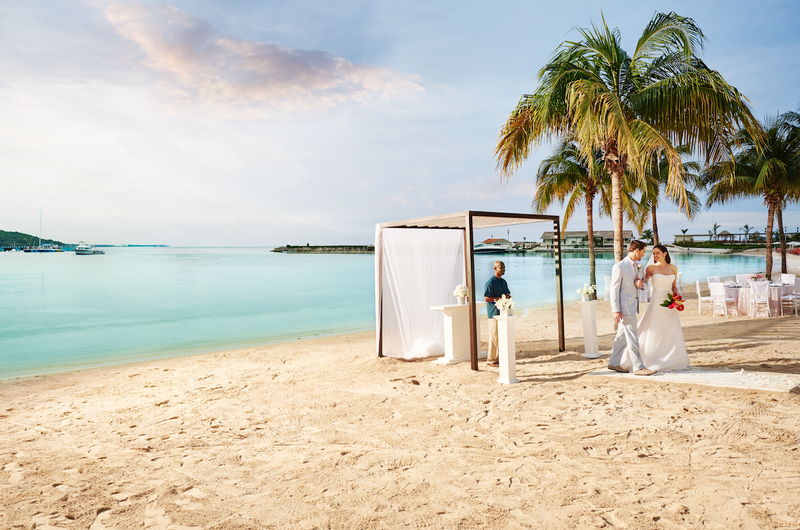 With it’s laid-back atmosphere, and delicious culinary delights, Moon Palace Jamaica is a unique, and magical place to celebrate the best day ever. A: Brides have loved our spectacular facilities, luxurious accommodations, the small details, and the delicious food. 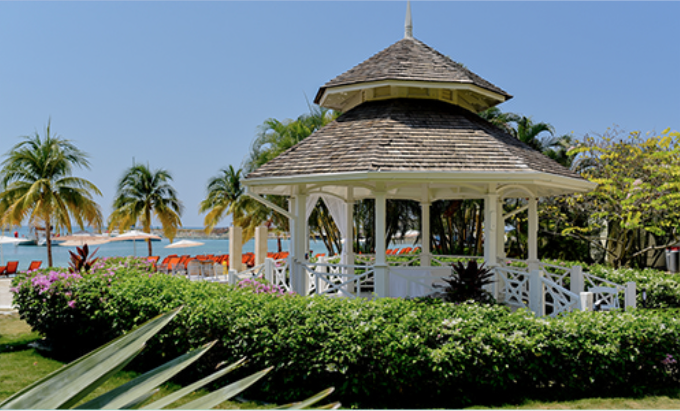 Q: Is there anything special about any of the venues at Moon Palace Jamaica? A: The incredible sunsets over the mountains, that touches the ocean. All this can be seen from our North Wedding Gazebo which sits right atop the Jamaican waters of Ocho Rios.